The American Name Society has launched four new Special Interest Groups on Facebook. Today we’re spotlighting the Personal Names group, run by Maryann Parada. 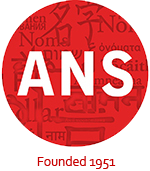 The ANS Personal Names group aims to create a community where news, ongoing research, and other ideas regarding any facet of personal names may be shared. Discussion is also encouraged, including on the relationship between personal names and identity, policy, orthography, perceptions, and societal trends. Dr. Maryann Parada is Assistant Professor of Spanish Linguistics at California State University Bakersfield, U.S.A. She has been researching onomastics since 2010. She is interested in names of all types, but especially in Hispanic names in minority contexts. She has researched topics such as the role of birth order in naming among Latino immigrant families, the interplay between name ethnicity and language proficiency perceptions, and the symbolic retention of archaic <x> in Mexican naming practices.